Johnny Solo is a renowned artist based in the Puget sound area with 15years experience as an underground artist. Johnny currently has been on a tear lately, recently overcoming health issues incurred while serving in the United States Army. Johnny jumped back into the scene in 2013 with the Nigaraachi Gamer mixtape which garnered attention from peers in the Northwest region as a hood classic. Johnny Solo had a stellar year in 2013 performing on the sub stage at Summer Jam and performing as a Headliner on the Shut The Stage Down franchise main stage that year and toured the West Coast late 2013 and early 2014 . Johnny Solo officially released the Nigaraachi Gamer Album June 3rd 2015 and would be following this effort up with two more albums this year titled Pushing 40 and New Generation. 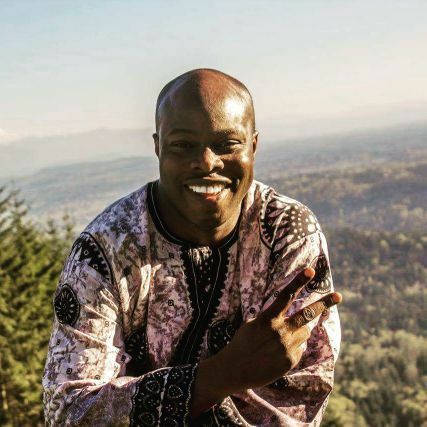 Johnny Solo created the Jackpot Media Group Brand and also owns a Radio Station Jackpot Radio Network He is also a radio personality on KKSHSeattle and is being courted by other established Radio Stations as a bona fide voice in hip hop in the northwest region. Johnny solo's music is a combination of Rap /Hip Hop/ and reggae music which he coined as reggeahop. Born in Duluth MN USA but raised in Nigeria West Africa. Johnny solo was influenced by his Nigerian roots love for reggea music and hip hop and is now trying to use this influence in reaching the youth. Johnny solo has a number of alter egos that you will become familiar with down the road as you continue to familiarize yourself with his music some of their names are Jerkmann da Phanthom, Mickey O'Van TickleMe, Guy McCracken and Nigaraachi Gamer. His new album “New Generation” is due out this fall. The first single “No Justice, No Peace”. has already won 2 awards. The Akademia Award in Los Angeles, California for Best Song in the Rap / Reggae category for the month of May 2015 and the most requested song for the month of October 2015 with Berkshire Media Group and affiliates.